The Internet of Things, or IoT for short, is all around us. Simply put, any device that has a connection to or interaction with the internet is a part of the IoT. This includes obvious things like your Smartphone and computer, but also your Smartwatch, Smart TV, Alexa, Siri, Smart Fridges, and the list goes on and on. So why does IoT matter? Because not only can IoT make our lives more convenient by having a world of information at our fingertips, but it can also benefit the quality of our life, make us more efficient and reduce the resources we use. Imagine for a moment that you leave the house and forget your grocery list. Some smart fridge manufacturers have added functionality which can collect information about frequently stocked groceries, and then send you a list of missing items in your fridge directly to a smartphone, tablet, smartwatch or mobile device of your choice. Because of the IoT, you just saved time and money by not having to go back home just for the grocery list you forgot. How many times have you left the house and 15-20mins down the road start thinking to yourself, did I turn the lights off? or did I turn off the stove top? With the vast possibilities of the IoT, that’s no longer a problem, just log in to your smartphone and double check that your smart lighting system and smart stove settings are what they should be. Okay, so this is all great in theory, but what if you are a discerning, tin foil hat wearing pessimist like me? And you begin to think of the endless possibilities of “Mr. Hacker” wreaking havoc on my life. Am I vulnerable to attacks with the IoT and what precautions can I take to protect myself? While there will always be creative evil geniuses dreaming up ways to make people’s lives miserable. There are ways to protect yourself from potential attacks. Most manufacturers are good about pushing out updates when they find vulnerabilities. Make sure when you get that notification to run the update, do so, it is there to protect you. Also, utilizing methods like two-factor authentication when available is always a good practice. Most importantly, do your research. Make sure that the new device you want to buy is using the latest security protocols. There is no reason to fear IoT but be smart in your usage and do your research. 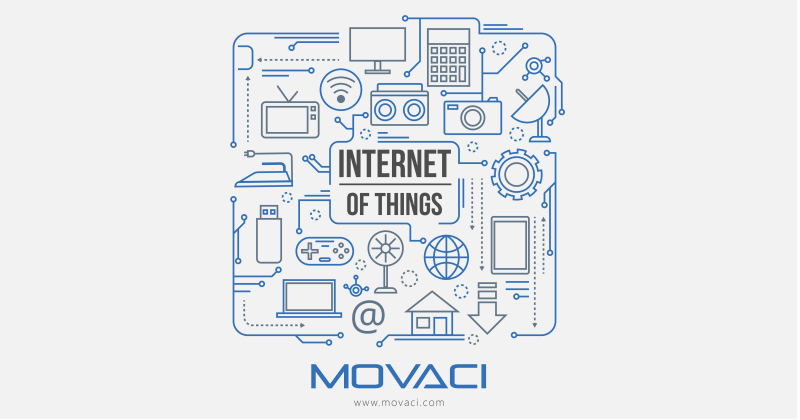 If you have any questions on how to secure internet connected devices, you can always reach out to Movaci by emailing sales@movaci.com.